If you’re looking to venture beyond the regular stand up routines and experience some alternative comedy at this year’s festival, I have three words for you: Idiots of Ants. Their show is a riotous and action-packed hour of fast-paced sketch comedy and the best part is we get to be a part of the fun too! Model Citizens is a mad barrage of hilarious short stories presented by Andrew Spiers, Elliott Tiney, Benjamin Wilson and James Wrighton, who are the talented foursome that make up Idiots of Ants. As soon as the show kicks off the Fourth Wall is torn down with the first short story – a prospective flatmate who loves the place except for the fact that the flat comes with an audience. The rest of the show carries on in this comedic vein. Each skit is excellently written, masterfully crafted and superbly performed. There are musical magazines, conversations at gunpoint and a casual game of toss-the-baby – and of course an expected encore of the comical “hens night gone wrong” skit which they performed at the Comedy Gala. The boys are skilled performers and have great command of the stage, transitioning between each skit quickly and seamlessly. There is no one stand-out sketch as they are all brilliant in their own right but a fully grown man dressed as a baby and swearing like a sailor truly is quite a sight to behold! The very funny “the man who took the audience to dinner” pseudo-love song was another favorite of mine. Yes, they can sing too! It’s no surprise these boys won the NZICF Best International Show Award last year as they are, put simply, a class act. Model Citizens is a definite must see – it’s extremely clever, wildly entertaining and just so much fun! An outstanding hour of improv that is best experienced live. The Whimsical Banana rates Model Citizens: 5/5 bananas! Just 3 chances left to catch this fantastic sketch group in action at the fabulous Rangatira at Q so don’t miss out – get in quick! Click here for tickets. It’s that time of the year again! In just under 3 weeks, the very best of local and international comedic talent will be tickling our funny bone and I for one cannot wait! The New Zealand International Comedy Festival kicks off on the 26th April and as always the line up is looking fantastic. I am disappointed that a few of my favorites will not be here this year, namely Marcel Lucont, Mark Watson, Jason Byrne and Chris Cox, but in saying that there are plenty of new names that I’m keen to check out as well as ones that were here last year that I didn’t manage to get to. I’m extremely stoked that my “first comedy love” Danny Bhoy is back this year and I don’t doubt Dear Epson will be brilliant and full of hilarious anecdotes as always! Also looking forward to the superb Stephen K Amos and his new show The Scotsman and of course I cannot wait to relive the phenomenal silent show that EVERYONE should see – More Tape – by someone I feel so privileged to know, the super talented The Boy With Tape On His Face! Last year I really enjoyed Gordon Southern and Chris Martin but only managed to see them as part of an ensemble show so these two excellent comedians are definitely on my to-see list! I was also really gutted I missed out on the entertaining sketch comedy antics of the Idiots of Ants so am happy they are back this year too. Thanks for returning, guys! Super pumped that Jack Dee, Wayne Brady and Dan Nightingale will be at this year’s festival as their respective styles of comedy are my favorite kinds of stand up! I have seen Arj Barker, Tom Gleeson and Urzila Carlson so many times on TV I think it’s about time I see these top notch comedians in the flesh! 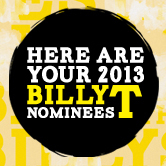 And last but not least this year’s Billy T nominees – Eli Matthewson, Joseph Moore, Pax, Rose Matafeo and Tom Furniss. I was lucky enough to be invited to the Billy T Jams/ comedy festival program launch at Q back in February (thanks Spencer!) and so I got a taste of what these newbies to the comedy scene have in store for us. They are a talented bunch with great potential – am definitely looking forward to checking out their full shows. Snippets from their spots at the Billy T Jams can be found on the Comedy Festival YouTube page. I would also strongly recommend heading to Keeping Up With NZ and checking out this awesome podcast featuring the nominees. The above mentioned are of course only the tip of the iceberg. There are a ton more comedians that are on my to-see list, and of course let’s not forget the Comedy Gala, Le Comique and Last Laughs… Looking forward to the laughs!! To find out more about the above comedians’ shows, click on the pictures for show details but for the full line up of this year’s comedy festival, head on over to the NZICF website. 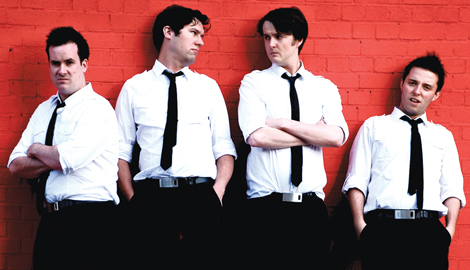 Get ready to Laugh Yourself Silly, Auckland (and Wellington) – it’s going to be epic!